I thought this would be fun for the AI sentiment challenge. 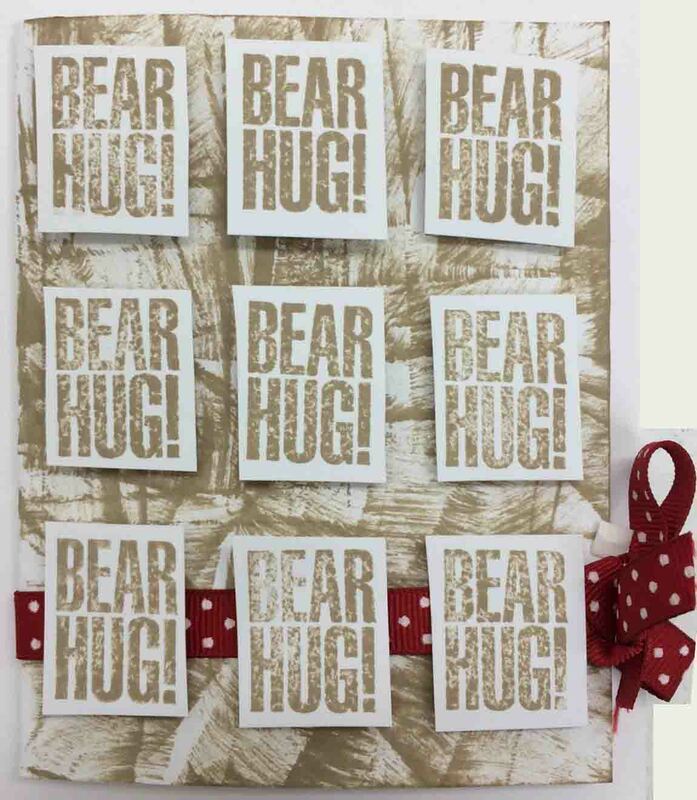 I just inked the background paper with direct ink in a haphazard way to give texture and added my bear hug tiles. Neat stamper could just line up the hugs on a single panel but that sure wasn’t happening for me! This would be fun on burlap as well for an on trend application. This entry was posted in Uncategorized on August 27, 2014 by twyladavis.